The landslide was just above a logging road and South Fork of Hunters Creek, and threatened to damage both if not stabilized. The GeoEngineers team investigated the slope, including using Hancock excavating equipment to dig several test pits. The team restored or replaced existing gabion buttresses that had been distorted by slope movements. 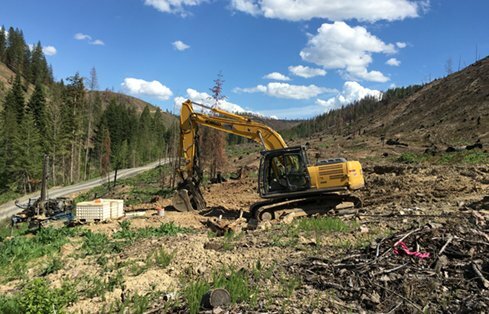 To stabilize the slope, the team recommended culverts across the logging road to collect groundwater and discharge it in the creek. Evaluating and stabilizing a known landslide area in Eastern Washington. In the spring of 2015, a landslide happened on Hancock Forest Management (Hancock) land in the Adams Mountain area located approximately 8 miles east of Hunters, Washington. The landslide occurred above a logging road running parallel to Springfield-Hunters Road along the south side of the South Fork of Hunters Creek. Hancock Forest Management removed the displaced soil and rock from the logging road and took preventative actions meant to stabilize the slope. These actions included installing drainage and constructing a buttress at the toe of the slope consisting of gabion-baskets (rectangular, heavy metal wire cages filled with cobbles). During the following year, the area was further compromised by a wildfire that destroyed vegetation on the slope. With no living vegetation to intercept precipitation, the moisture content of the soil increased and the landslide reactivated. 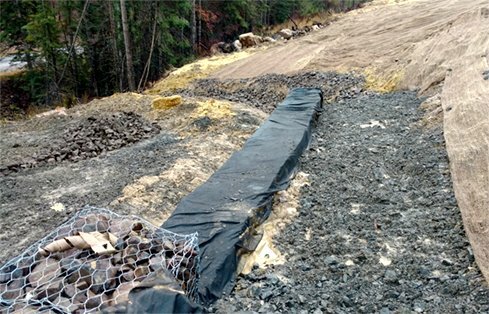 The slope moved again, overtopping and displacing the gabion-baskets, damaging the logging road and threatening significant sediment contamination of South Fork of Hunter Creek. Hancock Forest Management contracted with GeoEngineers to complete a geologic evaluation of the failed slope. 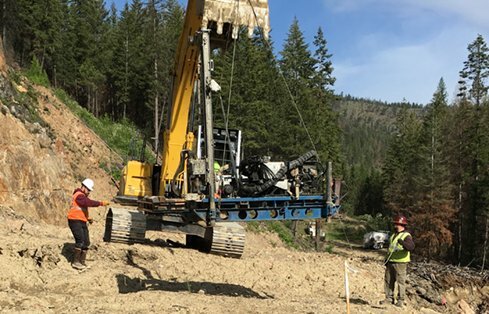 The GeoEngineers Geohazards Team evaluated the cause of the landslide, likelihood of future slope movement, potential risks of such movement to the logging road and South Fork Hunters Creek and potential methods to stabilize the slope. Regrading of the surface of the slope to a less-steep angle. 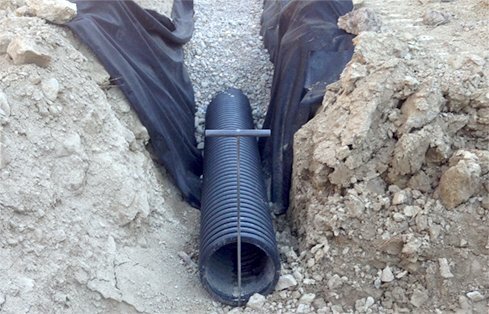 Installing a series of parallel drainage trenches running from top to bottom in the face of the slope. Building a runoff collection system for the slope drains at the toe of the slope. Installing culverts across the logging road to discharge the collected groundwater where it would eventually drain to the creek. Restoring or replacing an existing gabion buttress that had been distorted by slope movements. Revegetating the slope with rapid-growing native tree species. GeoEngineers’ design significantly increased the factor of safety against further failure of this vulnerable Adams-Mountain-area slope under both static and seismic conditions. Hancock has been happy to report that no movement of the slope has occurred since completion of the mitigation.